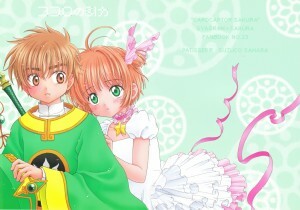 Generally I’m not a fan of Cardcaptor Sakura romance, but even my blackened heart was touched by this one. Until they started throwing around “I LOVE YOU”s. At that point it’s like… Really? You’re ten years old, kid. Lil’ young, don’t you think? Bah, who am I to judge. ON WITH IT! This doujinshi was brought to you by a joint editing effort by ZippyZippy and yours truly (granted, I only played with the levels lol), scanned by an anonymous donor over at Livejournal (I’m sorry, donor! I seem to have lost your name! ), and translated, again, by the one and only moi.